Performers: Anele Vellom, Lizo C. Makambi, Danny Keogh, Terry Norton, Nico, Bo. ADVISORY: No animals were harmed in the making of this film, and there is no blood or gore, but if the suggestion of violence against animals is hard for you to handle, you may not want to watch this. 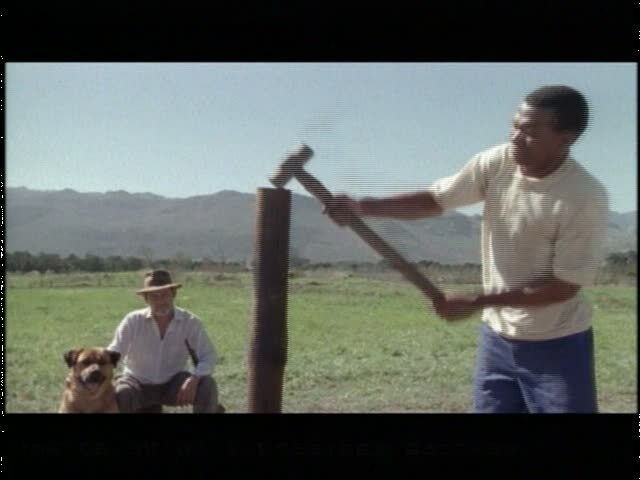 From small gestures to those writ grand and symbolic, this is a short film that effectively conveys the long-term costs of systemic bigotry and Apartheid. 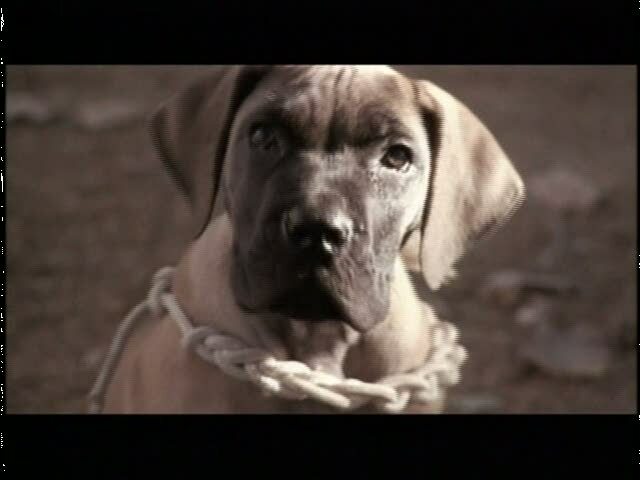 It’s not particularly easy to watch, even if it starts out with a disarmingly cute Boerboel puppy. At 6:20 ~ 6:40, the wife Hettie makes an appearance, tries to intervene with not enough urgency in her voice, then retreats helplessly. The effect could merely be a result of understated acting, but for me, it signaled an expression of futility, of exhaustion — she had been witness to this history of Johannes’ cruelty in the past, and already knew there was nothing she could do. In other words, the violence is systemic; as one woman, one wife, she has been made to accept it and turn away — just as the other African women run away when they see the beating that is about to commence. At 11:35 ~ 12:00, Johannes and an older Thembile share a lunch… and a laugh. I’m still not clear what emotions are registered in this scene, though there’s certainly a range and a passage of conflicting tensions, as the minor incident that initiated Thembile’s first chuckle is not entirely innocent, and rather at his master’s expense. This isn’t a fully thought-out analysis, partially because the film deliberately leaves open-ended questions so that you have to let your thoughts tumble about for a bit. Watch the film above, and let me know what you think. You can also find it on Netflix (or a local video rental store, if you’re lucky!) on a DVD collection entitled Art of the Short Film (which also includes “Mt. Head” [Atama yama] by Koji Yamamura, which has nothing to do with dogs but which I highly recommend as a crazy, surreal piece of Japanese animation for those of you who think anime is all trite and recycled pop fare).